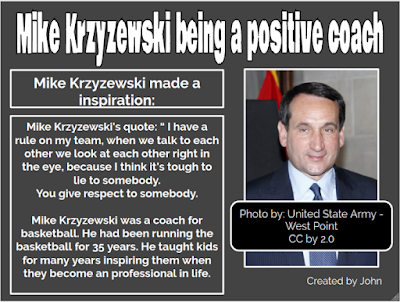 I have created a drawing about Mike Krzyzewski. He was a coach who had never let his team down once. He had inspired me with his truth and honesty words which made me once and a true learner. 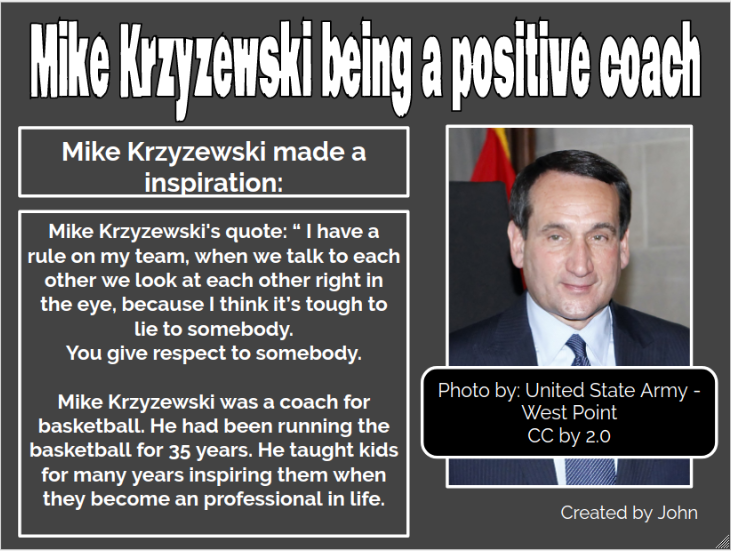 He is words inspired me but it inspired everyone else who knows Mike Krzyzewski. Maybe next time you should check your sentences to see if it makes sense or not. I like how you presented your thoughts about Mike Kryzyewski because you have really told me that this man is an inspirational person. I can connect with his quote because it is really tough to lie to somebody if you're not looking at them straight in the eye. I have now learnt about a new person and who that person is: Mike Kryzyewski.